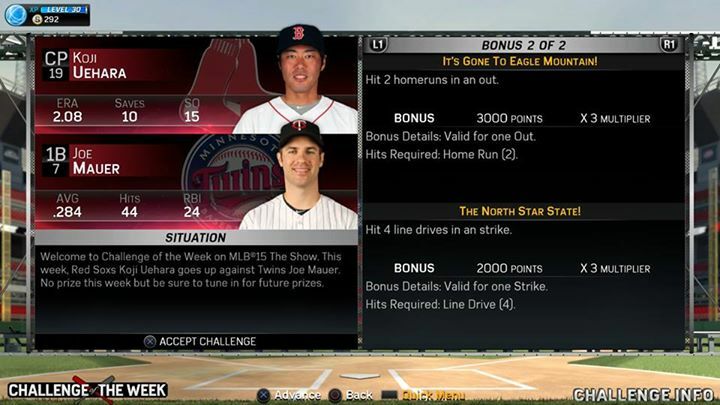 This week’s challenge of the week includes Joe Mauer vs Koji Uehara. There is no prize for this week. Tip: Stay back on Koji’s splitter and try to drive everything up the middle or opposite field. 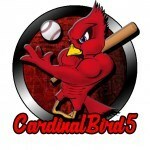 Koji does not throw very hard and Mauer has great contact and plate vision. Do not be afraid to use contact the entire time.